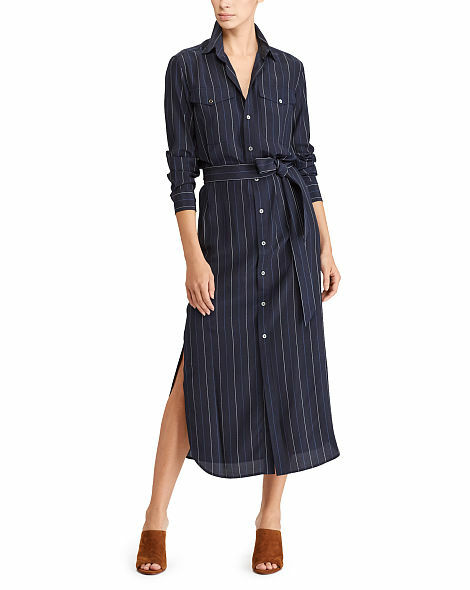 Nothing embodies the whole Ralph Lauren design signature like a shirt dress, as they are comfortable, yet flattering and a real classic – Ralph Lauren have worked this classic in a number of ways from luxe suede to everyday denim or maybe a pin stripe silk for a work look. 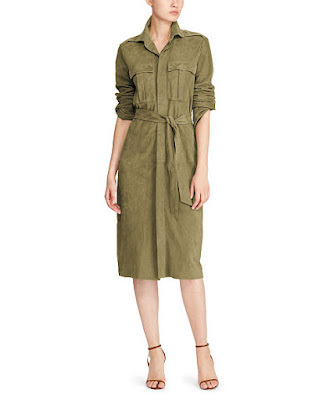 Military-inspired details like epaulets and supple goat suede elevate this version of Polo's signature shirtdress, with a self-fabric tie belt and pocket detailing on the chest. 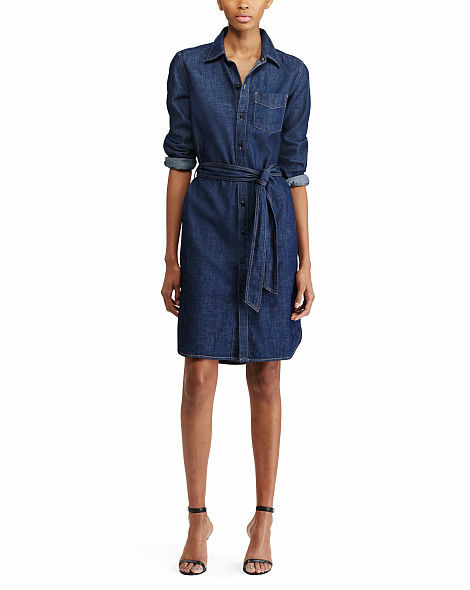 Weekend-ready denim enhances the casual-cool style of this shirtdress.